Can I get the links to the separate pieces of art here? These are all really awesome, I would love to see them in game! When are the rest coming? There will be variants for Johto and Sinnoh starters? I want to see delphox! OMG SERPERIOR!!! O.O fckn awesome dude! Is it fine if I create the sprites for the regional variants??? Amazing work I really love the Oshawott family! I wonder if anyone realizes that Swampert might be possessed. I absolutely LOVE emboar. He's flawless, he's perfect, he's amazing!!! the colors, the pose, the artwork, I completely adore it. Sceptile: They live in solitary, watching over surrounding Treeco and Grovyle colonies to defend them from any threats. For people lost in the frozen tundra who trespass into their frigid territory, your presence will be noted by them, for better or for worse. Blaziken: When in combat, electricity will surge through its body. As it moves and strikes, the electricity will discharge from it and trail behind it. It was believed that they are servants of the legendary revered for being the creator of storms, Zapdos, descending as lightning from its clouds to attack its foes on planet below. Swampert: They are viewed as an embodiment l of the connection between life and death. 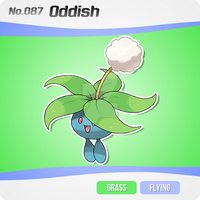 Due to their unique nature, they are often sought out by people and Pokemon who want to speak to their lost loved ones. Serperior: The cruel or carnivorous members of their kind are feared greatly. Those of this nature will pursue and wrap themselves tightly around their prey, keeping them in their icy grip as they inject a dangerous toxin into them. They will then toy with the unfortunate victim until it finally succumbs to the poison and dies. Emboar: Believe it or not, the mud on their body is in fact not a part of their body. Using their telekinetic powers, they can morph and mold the mud with a single thought, whether it be to be shelter, to coat and cool them off, or to attack and defend themselves in battle. Samurott: Most of the armor on its body is not attached, but they rarely take it off. Only around those it trusts wholly will it consider removing its armor. If one of these rare few are in danger, it will remove its armor to do what it can with it to place protection around its ally. The ones I like the most are Sceptile and Emboar. I've seen your two deviations "Starter Pokemon Region Variant", and I wanted to know if I can borrow your ideas for a story I'm writing. To give you an idea about this story, some Poke Scientists from an evil Team look for "Artificial Region Variant" following the Alolan Region Variants to have an army/weapon of unknowns Pokemon for their evil shemes. Your own "Starter Variants" are really amazing, and even if I want to make some modification, it is really great and well-think. Of course, I won't forget to notice in my story that these designs are yours and that I'm inspired by them, if you agree to let me use them. And of course, if you disagree, I won't use them. I respect your work and your creations, even if I really want to include them in my story. It is YOUR art after all. I hope I'm clear, because I'm not english nor bilingual. If you don't understand something, don't hesitate to contact me. Have a good day and see you soon Nyjee ! I was getting more of a pure Ice or Ice/Dragon from Serperior since I don't really see anything inherently poison like in its design. I also thought Emboar was Ground/Water because its mane/beard reminded me of mud. These are sweet looking designs though. I also really love the little easter egg you threw in by using Torchic's beta design. It's super cute. I NEED ALL OF THE HOENN STARTERS AND SAMUROTT. This is amazing! I like these more than the originals! And I'm not just saying that to stroke your ego. I feel like I can't properly convey how much I love these. On the one hand seeing them makes me envy your artistic skill and on the other, I just wish these could replace their real counterparts. Honestly, if Samurott even looked remotely similar to your design in some way I'd probably use it more. These are fantastic. Great work! 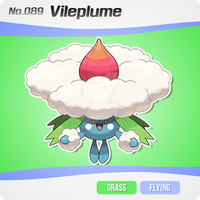 Every day since you posted the Starter Pokemon Region Variant 2 back in July I've been checking to see if you would post the final evolutions. I was kind of worried you weren't going to, but my fears were unwarranted! The designs for the gen 3 & 5 final evo's are so amazing! Please say you're doing the final stages of the other gens? I really hope so! I need the Blaziken and Serperior in my life. Its amazing, are you going to make the other no?? Golden armor samurott looks so awesome!!! I wish these variants were a real thing in the games! SO AWESOME! I can't wait for the others! Swampert and sceptile look badass! I LOVE THIS SO MIUCH THANK YOU!!!!! Wished the shinys were better, but hey color is a preference, these are amazing alternate versions of these starter lines! THANK YOU for having put Flying as first type on Blaziken! I love the Regional Serperior! That Swampert and Samurott are EPIC! Good job dude! OMG, I love them a lot! All of them look so cool! Can't wait to see the rest of them.